Mike is a professor of Mount Allison University‘s Department of Geography & Environment, where he has worked for the past decade, also serving as Vice President Academic and Research before returning to head and teach in the department in 2005. Before coming to New Brunswick, Mike was a professor at University of Winnipeg’s Faculties of Science (Geography and Environmental Studies) and Education. He was also the university’s Vice President Student Affairs and Dean, Collegiate Division – similar positions to the ones he held at Bishops University previously. Mike was one of the co-sponsors of the RCE Tantramar bid to the United Nations University and acts as its chair. Jesse is an Assistant Professor of Environmental Science at Mount Allison University, where she teaches and researches in the area of wildlife ecology and Indigenous science.The objectives of her research are to contribute to ensuring sustainable wildlife populations while advancing understanding in areas underrepresented in ecology. Taking an interdisciplinary approach, and weaving Indigenous and Western science, her research investigates natural and anthropogenic disturbance impacts on wildlife, especially cultural keystone species. Georgia is a professor in the College of Sustainability at Dalhousie University, teaching in the field of coastal issues. Her research on intertidal flats was the backbone of her PhD work at the Alfred Wegener Institute for Polar and Marine Research and the University of Bremen in Germany. Georgia’s research and teaching places particular emphasis on global coastal change and conservation issues, and its effects on human dependence on those aquatic resources. Josette is the Outdoor Environmental Classroom Coordinator for the Education for Sustainable Development project at Salem Elementary School in Sackville. Josette is a graduate of Mount Allison’s Geography and Environment program, as well as a graduate of the B.Ed program at the University of Ottawa. Josette is a teacher who assists teachers and students in getting outside and using the recently developed wetlands area and other environmental education options available as part of the outdoor education program. Tracey is the senior planner at the Southeast Regional Service Commission. A member of the Canadian Institute of Planners (CIP) for more than a decade, Tracey was responsible for three major projects in the region, including the Sustainable Sackville plan and Tantramar 2040, two guiding documents for the RCE. She has been involved in various climate change adaptation initiatives at the local, provincial, and national levels and was one of the co-sponsors of the RCE Tantramar’s bid to the United Nations University in 2011. Rob is an alumnus of Mount Allison University, with an honours degree (BA) in international relations and a minor in geography. He was the RCE’s 2012 summer student. Trevor studied Natural Resource Management in Ontario before returning to his hometown of Sackville to study at Mount Allision University. 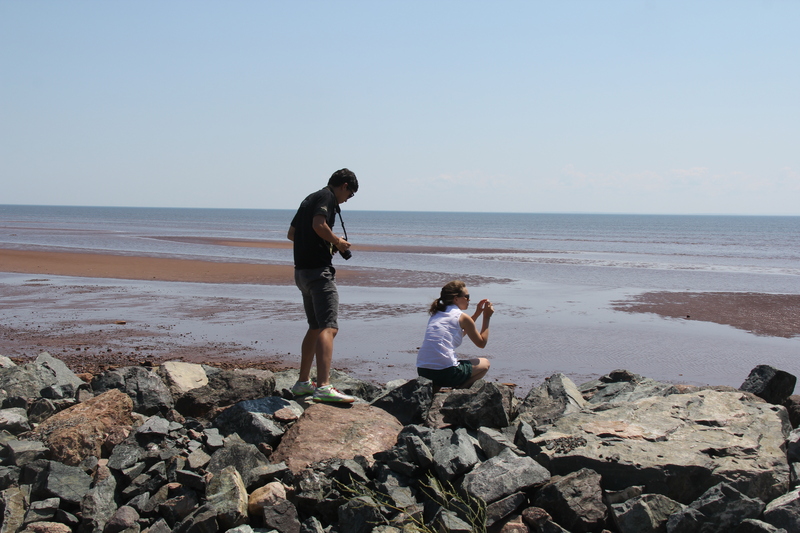 He worked as the RCE Tantramar Environmental Communications Intern. Emily is a graduate of Mount Allison University from the Department of Geography and Environment. She worked as the RCE’s main coordinator while she completed her Master’s which focused on Sustainability Science and regional adaptation to climate change.